If, for whatever reason, you've decided that simply biting your fingernails isn't the best way to keep them short, you'll want to invest in a nice trimmer. But not some giant monstrosity that requires a purse or a murse to keep it on hand. 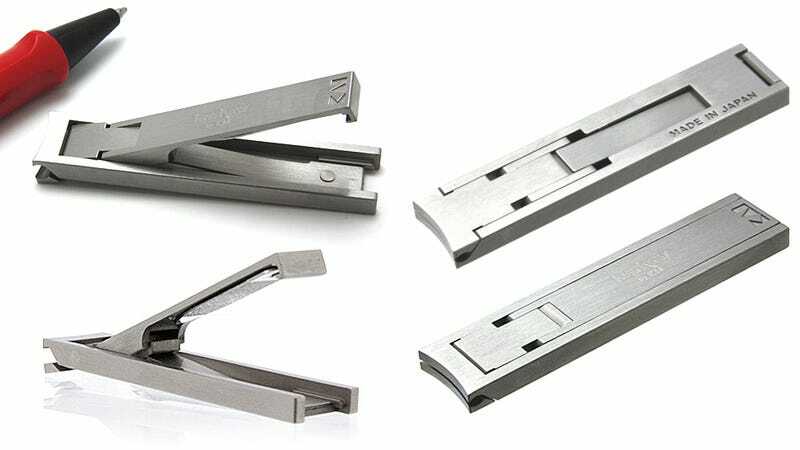 Go for Kershaw's ultra-thin nail clippers that fold down to an easily pocketable four millimeter package.